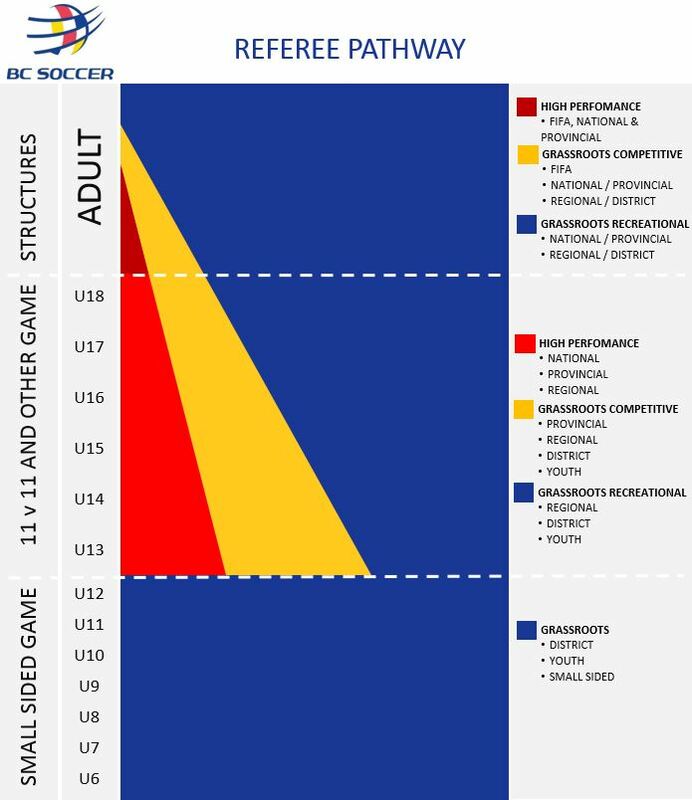 Below is the recommended BC Soccer Referee Development Pathway. 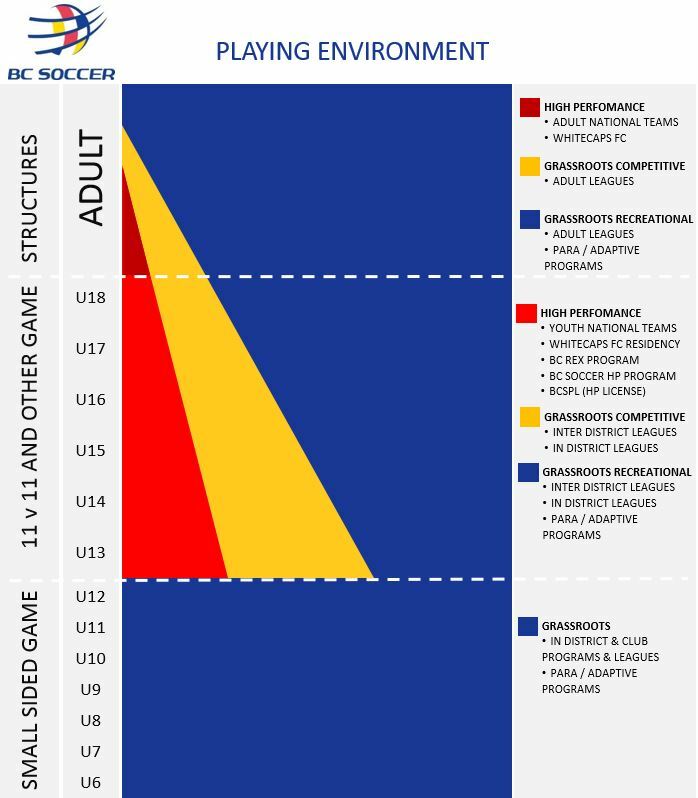 BC Soccer would also like to make all referees aware of the Playing Environment which is shown below as well. If you have any questions, please do not hesitate to email the Referee-in-Chief. Vision, Values & Competencies. Our Shared aim is to use the power of soccer to build a better future. Our values should be responsive to the needs of soccer. We should be confident in our approach to show courage in our actions. We should be open to new ideas and be receptive of other views. Our work should be inclusive, encouraging everyone to enjoy and love our great game. Everyone must be accountable to those they work with and to soccer and the community at large. We should be passionate for the game and pass on this passion, encouraging others to develop a life-long love of the game. Our shared competencies are those of leadership, taking responsibility and showing direction. We should be able to communicate and influence those around us, taking ownership of the game. We should be innovative in our approach to this important role.